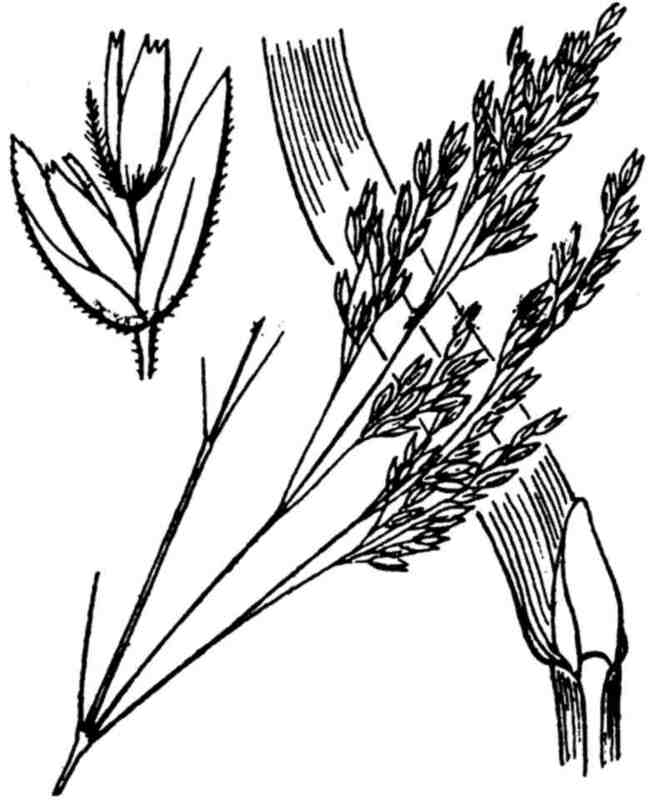 LATIN: Deschampsia cespitosa (L.) P.Beauv. Habitat: (view in new page) :Key: Damp/wet meadows on fairly rich soil (silica).Secondary : Areas of luxuriant vegetation. 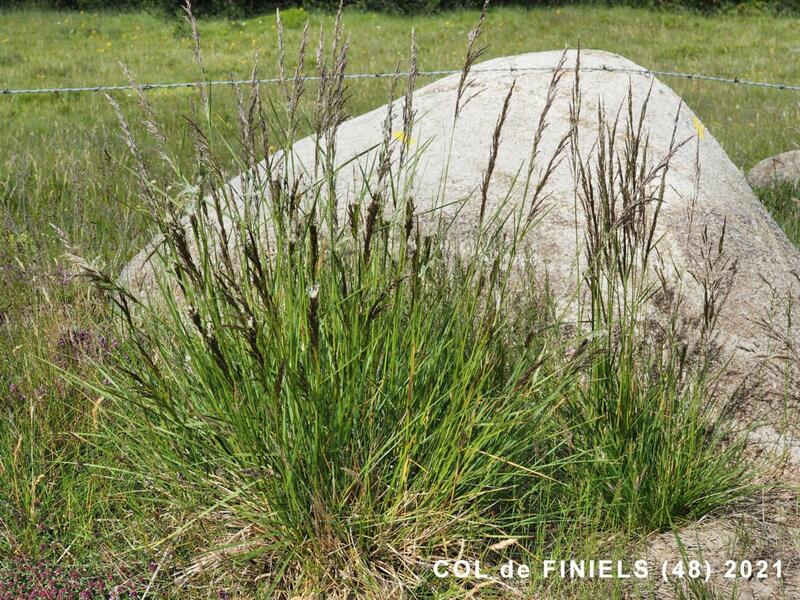 Habitat : (s'ouvrir nouvelle page) :Clef : Prairies humides sur sol assez riche (silice). Secondaire : Formations herbacées luxuriantes (mégaphorbaies). 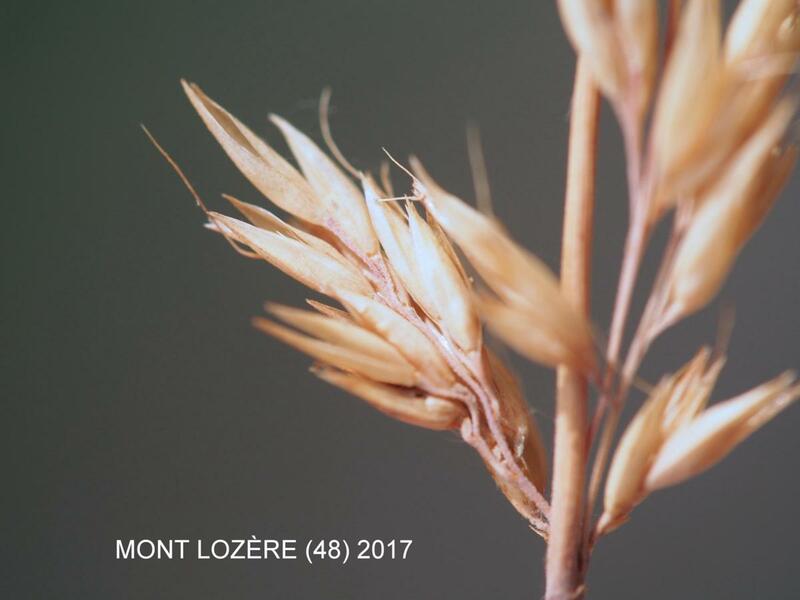 Écologie : Lieux humides incultes, dans presque toute la France. Stout, densely tufted perennial forming large tussocks and with smooth, erect stems 23-180 cm high. Ecology UK: It is an abundant plant of poor, wet soils and woods throughout the British Isles. 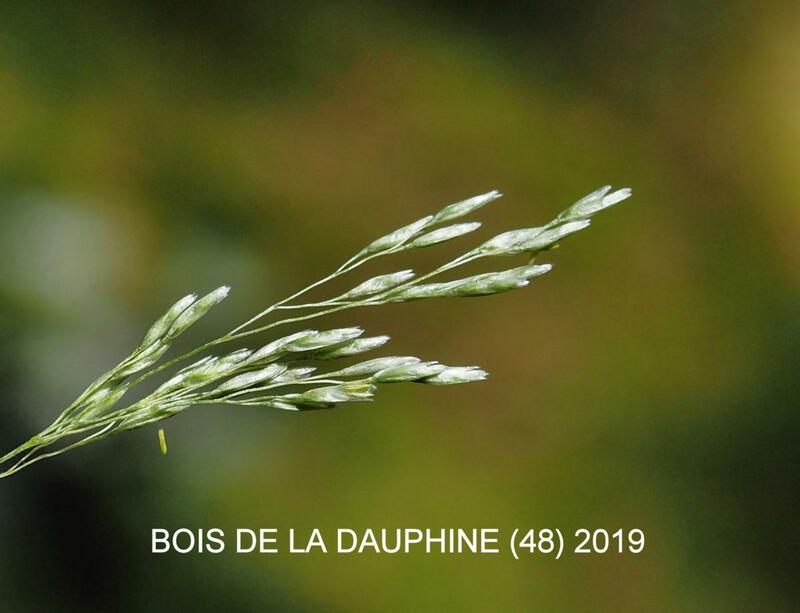 Flowers: Spikelets 4-6 mm long, in a large, open, spreading panicle with 5-7 nodding branches at each node; glumes sub-equal, pointed, keeled, lower 2.0-2.5 mm long, linear lanceolate, 1-nerved, upper 25-3.0 mm long, lanceolate, 3-nerved; lemma shorter than glumes, 3-4 mm long, rounded on back, oval, with truncate, 4-toothed apex, 4 fine nerves and a bent awn arising from near its base; palea shorter than lemma, bifid, two-keeled, glabrous; anthers 1.5-2.0 mm long. 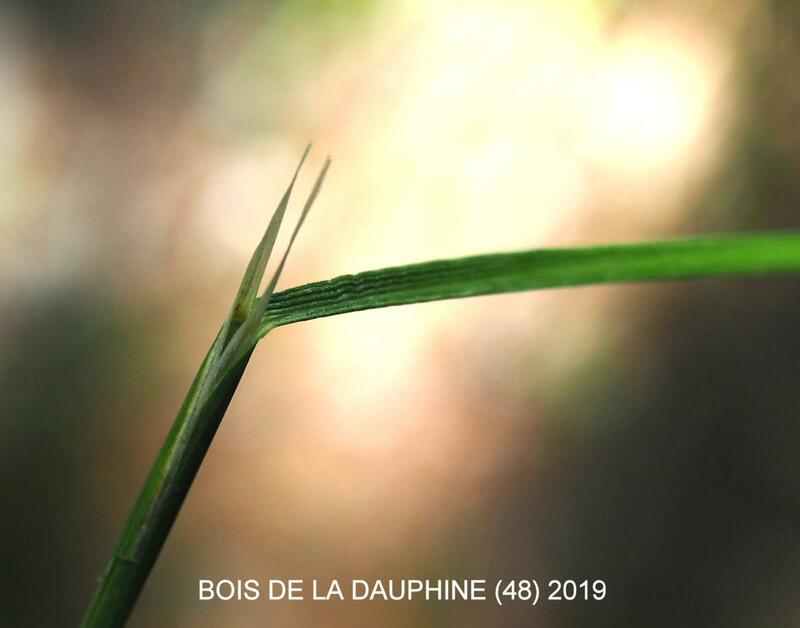 Leaves: 2-5 mm wide, flat or inrolled, ribbed above, very rough on ribs and margin; ligule up to 15 mm long, lanceolate, acute. Fruit: Seed 2 mm long, ellipsoid, apiculate, finely netted, central depression short and shallow.